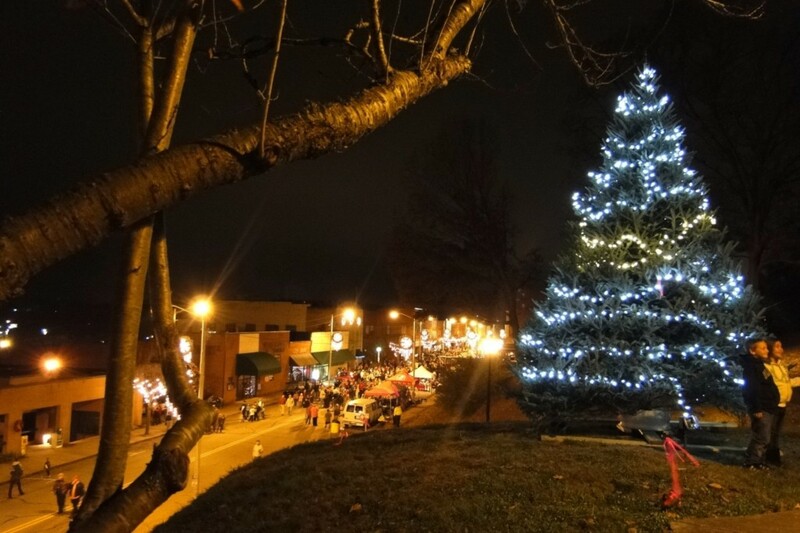 Light Up Downtown is an annual celebration held in historic Downtown North Wilkesboro to usher in the holiday season. The celebration is kicked off with the lighting ceremony when the B Street Park Christmas Tree is light along with all of the holiday lights that line the town streets. Vendors gather from in and around the county to sell their goods on the streets as store owners stay open late to welcome in the crowds and to show off their holiday window displays. The celebration also features hay rides and dance performances and Santa! There are always a few folks offering free snacks and drinks, while supplies lasts, but be sure to bring your wallet and a little cash. You are sure to find great holiday gifts in the shops or in any of the vendor booths. As you shop you may be tempted to buy a few goodies to eat. The smell of funnel cakes and fresh coffee are hard to resists. If you miss the festival don’t worry too much….you can enjoy shopping in Wilkesboro NC at any time of the year. The festival is in the heart of Downtown North Wilkesboro and results in the closing of many of the streets, mainly Main St, 9th and 10th. The streets usually aren’t closed until about half an hour to an hour before the festivities. There is plenty of parking close to the festival most of which can be easily reached from the CBD Loop which borders the downtown area. If you are coming from the east, I would advise you to take the NC Hwy 115 exit and turn right on 115. This will take you to NC 268, turn left on NC 268 and you will run right into the festival. This years event is November 16 from 6pm-9pm.